How can we ever pick the top 10 out of all the amazing things that have happened in 2018? that made 2018 shine a little brighter than we expected. It was such an honor for Heritage to be featured in At The Lake Magazine, one of the favorite Lake Geneva glossies. We took a little time away to tell our story, reminding ourselves where we came from and what we’re all about here at Heritage: building a legacy and continuing the story of the materials we gather. Bonus: check out a few more shots that didn’t make it in to the magazine here. Our longest running project yet had to make the list! Heritage came alongside Kristin and Steve Georgy to help design and transform raw basement space. Collaborating with their contractor, Keith Dushane of V2 Construction, Heritage installed reclaimed wood wall cladding on the whole ceiling in the main room recreation area, reclaimed roof boards on the wall and fabricated steel supports and shelving with roof boards inlaid for the wine rack in the wine room, a hidden pocket door, a bar, and lots more. After all that, the Georgy’s decided the only thing to do was to throw a party. This was a volume prep job: over 90 antique barn wood beams from our stock chosen to the Thelen’s specifications. This one made the list because it was our biggest beam order as of yet. The beams were kiln dried, hand cleaned, sanded and sealed, then sorted for delivery. 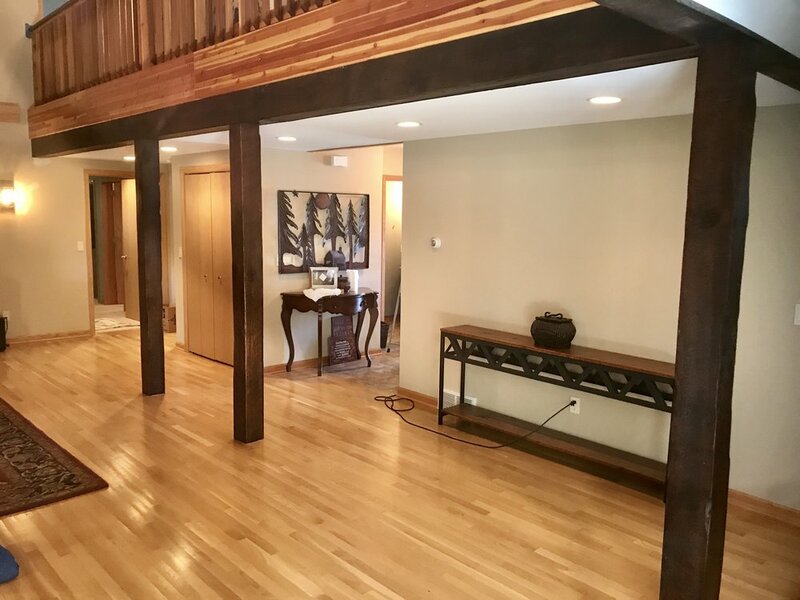 Because it was a prep job (not an install), it was all the more striking when we saw Heritage beams beautifying the finished space. Our biggest commercial job had to make the list. As of 2018, Cedarburg, WIsconsin, is home to the new Hamilton House Senior Living Center. 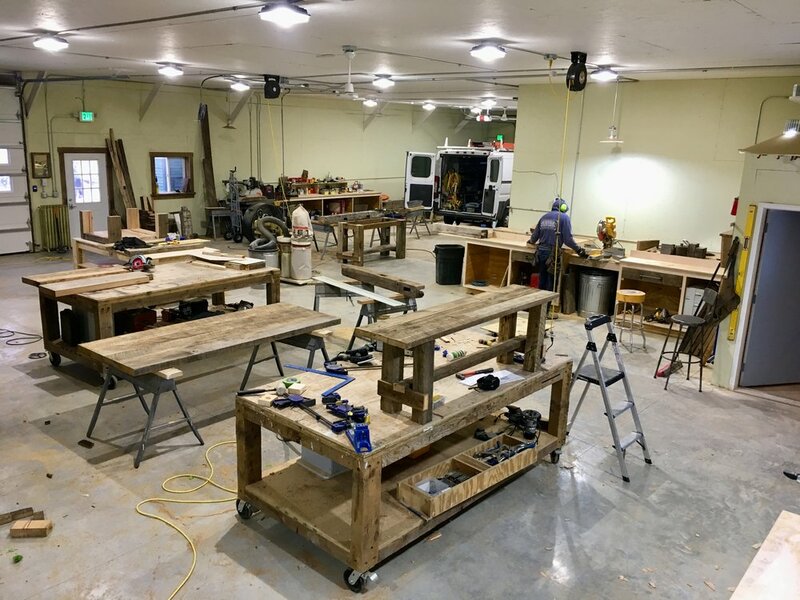 Heritage installed a batch of reclaimed beams into the center (after prepping which includes kiln drying, air blasting, hand sanding and sealing). 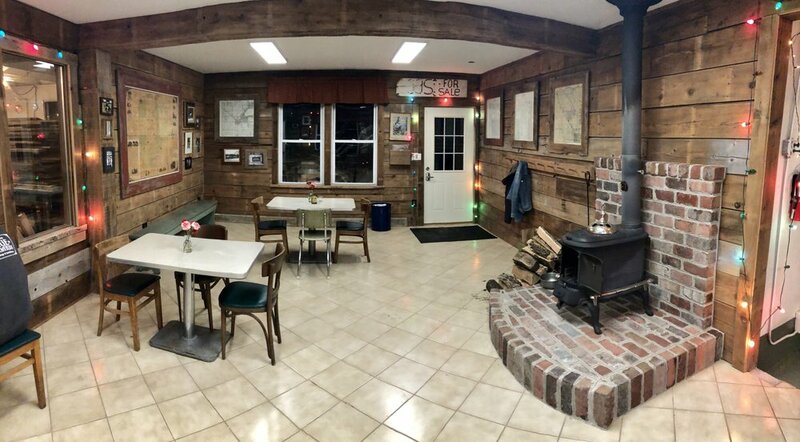 Working with a commercial contractor out of Madison, Heritage set the bents to attach to framing and returned after the drywall to complete the job and make it flow including installing 3 large fireplace mantles, classic barn beam bents, staircase posts and railings. 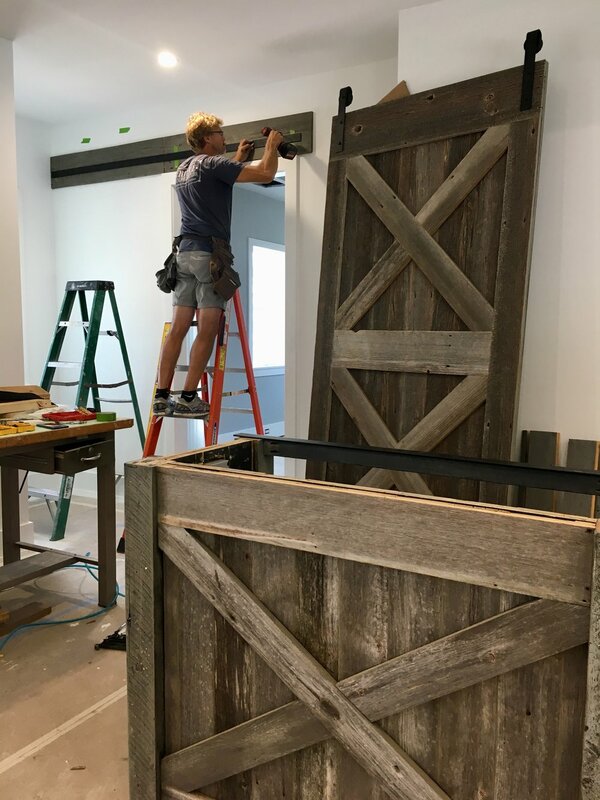 It turned out to be a fun before and after for our team, and we smile knowing the residents there will be able to enjoy the beauty of Wisconsin antique wood every day. This was a sweet opportunity to collaborate on design to create a custom cabinetry plan that worked for Julie. 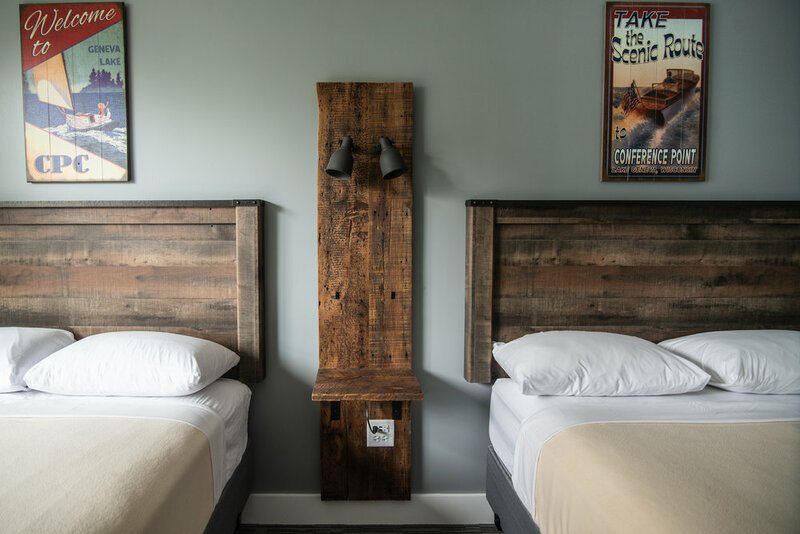 We crafted and installed two reclaimed beam mantels, a custom entertainment center and bar, antique wood cabinets, and barn wood beams, along with some custom niche reclaimed shelving. Because of the uniqueness of the design and especially the funky finishes on the pieces, this project had to make our Best of 2018 list. When you need an industrial forklift to get your project where it needs to go, it makes the list. Heritage built an epic 12 foot long antique barn wood bar for a gorgeous residence on Marco Island, Florida. 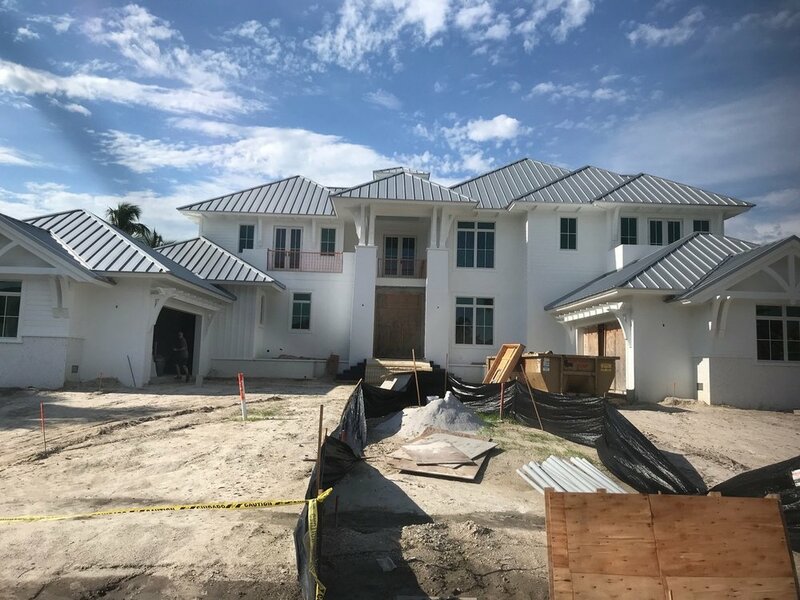 This delivery took our team plus the aid of Thomas Martin Construction to bring it into owners Bob and Melissa Herrman’s home. Melissa insisted that we not only drive down the bar, but Emily’s bike as well so she and Emily could get in a good ride on the Island, making it one of Emily’s favorite deliveries. The customer gets what they want at Heritage! 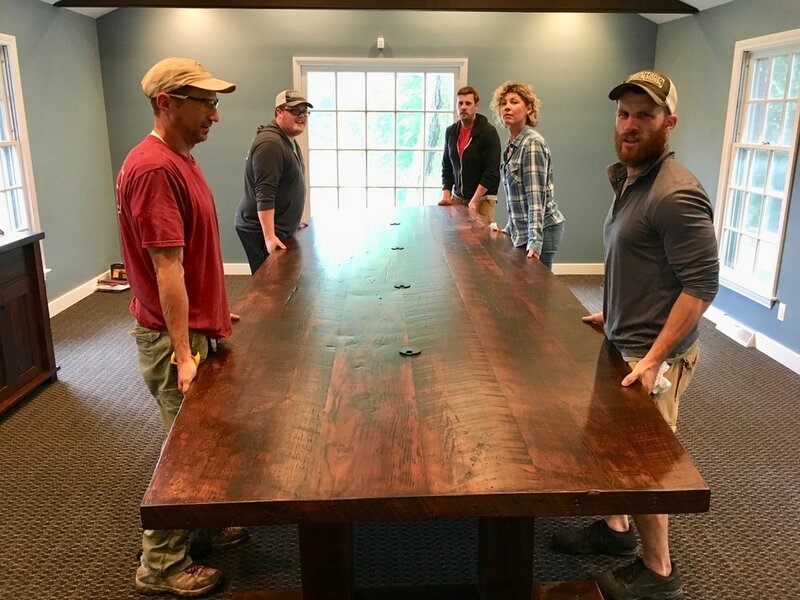 A 15 foot Conference Table and two antique barn wood cabinets were custom made for Anthony and Lindsay Tako in Barrington, IL. This job made the list because it’s the longest and heaviest table Heritage has made to date. The table top is made out of antique floor planks from the historic Waal’s Department Store in Walworth County, Wisconsin. Having recently started the 222 Foundation, a scholarship program for students going into ministry, The Takos situated the table in the main conference room at the 222 Founation headquarters. 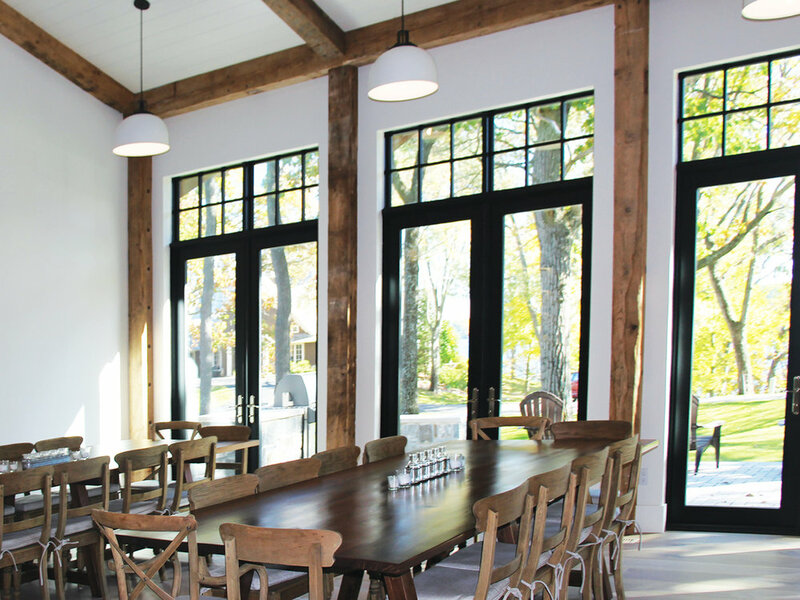 This project made the cut because the barn wood materials enhanced the space so beautifully. 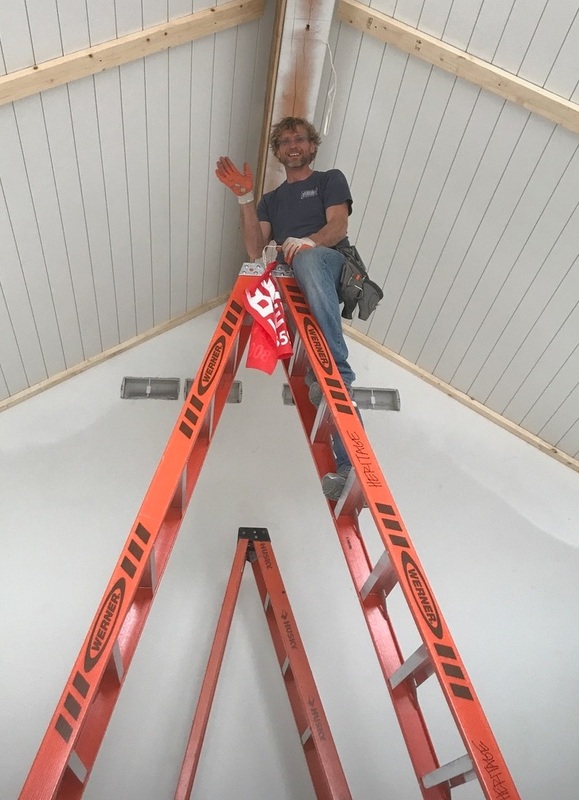 Working with Fairwyn Homes, Heritage provided and installed Great Room barn beams, barn wood ceiling cladding, doors, shelves, custom finished barn wood mantels with corbels, and 3 large barn roof board doors. Truly a step forward for Heritage, 2018 marks a year of expansion and growth. Our little company needed more space and where better to find it but just a mile north of the Heritage Barn? 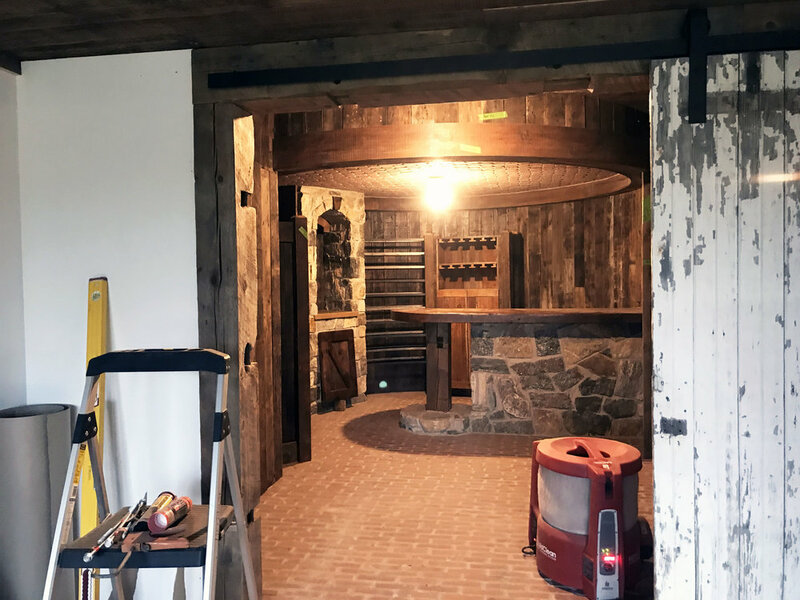 Heritage North boasts ample storage for all of our barn wood and antique materials along with the shop space to accommodate our increasing number of projects… plus working plumbing and a groovy kitchen all our own!